An expanding number of institutions shares the conviction that investment capital can effectively cover social and environmental challenges. The attention is now focused on how to manage successful impact investing. During the Impact Summit Europe, eminent leaders of the impact investment industry will gather, providing an exclusive networking and educational chance. On behalf of Finch & Beak, Jan van der Kaaij, Managing Partner will speak on the theme ‘Looking Ahead: Next Generation Solutions’. On 22 and 23 March 2016 the Impact Summit Europe will be held at the Peace Palace in The Hague, the Netherlands. The Impact Summit provides an interactive platform to exchange best practices, challenges and opportunities in the impact investment space. Around 180 institutional investors, impact investors and impact experts will be attending, as well as a group of 30 pre-screened impact fund managers. Institutional and impact investors include amongst others pension funds, development finance institutions, government agencies and multinational corporations. What to expect at the Impact Summit Europe? The program is based upon keynote speeches and plenary discussions that will address the Sustainable Development Goals (SDGs) of the United Nations. 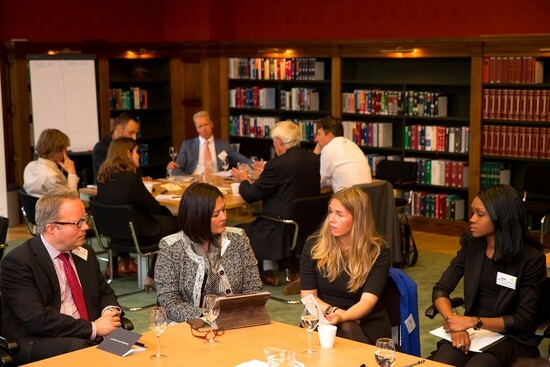 Furthermore, pre-organized InvestorConnect meetings will take place between investors and impact fund managers in various asses classes, which gives fund managers the possibility to present their strategy to a small group or in a one-on-one setting. In addition, the Impact Academy is set up in order to address the challenges and opportunities faced in mainstreaming impact. The Impact Academy will offer educational workshops on key topics in the impact industry, such as impact measurement, designed by the industry’s leaders. Together with the World Economic Forum an interactive investment game will be organized, as took place during their past four annual meetings in Davos. More information can be found on the event website. At the Impact Summit Europe a number of forceful invited speakers will be present. On Wednesday 23 March, Jan van der Kaaij, Managing Partner of Finch & Beak will speak as part of a session on the theme ‘Looking Ahead: Next Generation Solutions’, whereas the world of sustainability, impact investing, and corporate change will be discussed.